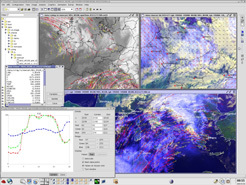 CineSat is a professional software suite for high-class satellite meteorology and early disaster warning. Detect severe weather, get forecasted weather movies and automatically update your intranet with latest incoming data and analysis products. 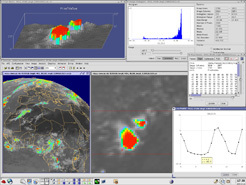 CineSat combines best validated methods with high performance tools. Designed for speed, accuracy, flexibility, and international interoperability. 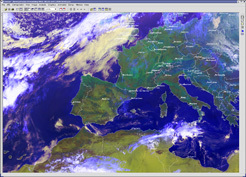 A special feature is the convincing, high quality prediction of satellite images several hours ahead. 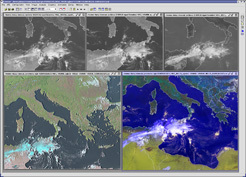 CineSat's special strength is the real-time computation of unique analysis and forecast products. 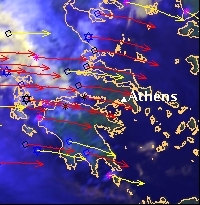 But you will also find all other tools and features you may expect from a modern weather analysis and forecasting software.